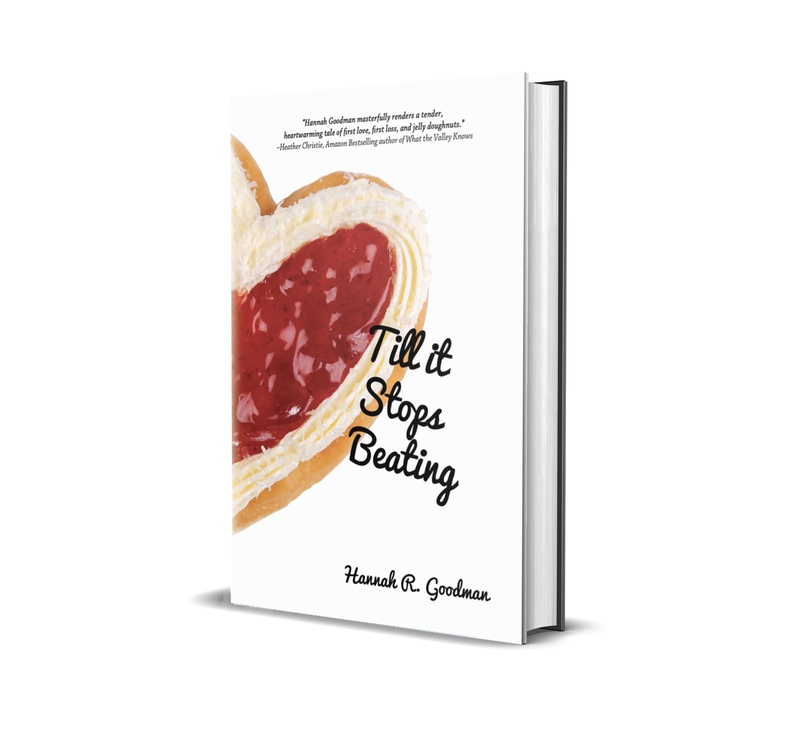 Hannah R. Goodman: Yet, Another Blog On The Struggle To Accept And Trust Myself. Yet, Another Blog On The Struggle To Accept And Trust Myself. Last week I had one of those moments…You know, those moments where you are going along in your life, making decisions about things both big and small–"I’m gonna self publish again" and "I’m gonna buy myself a new pair of over priced jeans"– feeling confident, feeling like, "yeah, man, I know what I am doing." You get an email or phone call, or maybe it’s an actual in-person encounter, but whatever IT is, it’s that small moment, a little tiny patch of words spoken or flashing on the screen that takes you down a notch. Words that you didn’t expect to read/hear. Words that you didn't expect to HIT you so HARD. • An invitation to participate in the 1st RI Self Published Authors Fair (a sign to me that we have a chance at being legitimized). • The outpouring support of Facebook Friends for my work (reviving interest and sales in a book that is now 5 years old). • A phone call from Barnes and Nobles in Smithfield asking me to be part of their local authors’ fair in May. • A no-response from yet another agent who has already rejected one book and then requested another but hasn’t given me word one about its status. • The manuscript has been edited and copy edited since September, sitting, collecting dust, ready to go. • My first residency experince in January at Pine Manor College, where I realized that I can focus on craft, writing new things, and still self-publish this next book, that my self-publishing doesn’t matter, doesn’t define who I am as a writer. These signs hammered the nail on my decision to self-publish again. I have come to realize that I’ve been waiting 3 years (a total of 10) for a publisher to pick up my series, and I can’t wait any more. I was patient. I have done all the “right things”. Click here for the list. So, these were signs to me that, okay, the bottom line is, your book, your writing– some people want it, and so it’s now your job to get it to them, and since you can’t get a publisher to do it, you gotta do it yourself. Focus on who wants you, not who doesn’t. Let go of all these struggles, of trying to break into mainstream publishing, and accept where you are, which is without a prospect for a book deal and with the possibility of self-publishing. Of course, there’s a real problem when you make a decision to do something based on someone, anyone, other than yourself. If the deciding comes from the outside verses the in, it’s actually a very thinly-made decision. It’s this subtle affirmation and validation to yourself that you, in fact, don’t matter as much as other people and what other people think. So even if I make this decision for those “who want me” as opposed to “those who don’t”–it’s still based on the flimsy validation of other people. I don’t mean flimsy to insult, but more on the reality that at the end of the day, it’s you who you see in the mirror, and you who you gotta wake up to every morning. Feel me? Of course, I didn’t realize any of this until last week, when I saw those words in that email. “Maybe you should wait to self-publish.” This was followed by a few reasons, none of which really matter to this blog (but I will talk about those VERY GOOD reasons in my next blog) The reasons aren’t the point; it’s how these words all hit me, that’s the point. So, I read those words, and instead of taking a deep breath and reminding myself that I totally understood and knew that this person was just giving his/her opinion and from a very caring place, that I should listen and consider these reasons even if I do go ahead and decide to self-publish now, instead of doing that, I freaked. Yeah, I lost my mind. Totally. In making the decision to self-publish, I didn’t do something that’s very crucial to the process of making a good decision, a solid decision. I didn’t “ground myself in my feelings” as my husband always advises me to do before I do anything that I feel insecure about. Before you do it, just sit with yourself and get grounded in exactly what you feel. Make sure that what ever you decide to do, ultimately, that decision comes from you and not a desire to please someone else or guilt over someone else. Translation: if you are gonna do something, do it for you and not for anyone else and be prepared that some people will not like what you do, but if you are solid and grounded in you, it won’t matter. In fact, you will hear that person’s opinion, and it won’t even bother you because you are so grounded. Recently, and I will get back to my story in a minute, but you know that I had to mention my father in all this because, of course, in the middle of all this lingers the ghost of my “Daddy issues”, which, I know are where all this looking outside myself for approval came from. Well, in the last two weeks, as I was preparing to self-publish, my father and I got onto a battle royal that resulted in me making a huge decision to let him go, officially. I got grounded in this decision before I made it. I wrote a well thought-out caring letter that said, “ I need to say goodbye for now because this relationship does nothing but make me feel bad.” Then, of course, he responded, and I was thrown, off course. Started to second-guess myself and my decision, etc. So, as you can see, I’m kind of sensitive, anyway, right now. My dad has a way of making me feel wrong about myself, untrusting of myself so this email, those words, to me, implied that my decision to self-publish was wrong. Now, back to today to the email. As I said, I started the process of self-publishing book 3 and going into this experience, this time around, I made a decision that I thought I was grounded in. My decision was to do this in a really no-frills, no-stress way. That is, not run around begging for endorsements to put in the book, not send out a press release way in advance. This time I was going to publish it, and do mainly things on-line and kind of let things happen, you know. Make it fun and organic. Realistically, I have to consider this time around that I have less time and money to spend on pre-publishing publicity. I decided to rely on my online presence and my already established fan base (as small as it is). Let things happen. After all, I wasn’t publishing for profit or fame but for the sake of sharing with people. However, I thought about contacting this one particular person (who sent me this email), not to get approval for doing this but to see if s/he would maybe want to read it and give me a quote. Something I might put on the cover or website. I made sure to stress that he/she totally had an out, and I wouldn’t be insulted if s/he said no. I chose this person because I thought that s/he understood me as a writer, as an author, understood this long journey I have been on. Wait. Maybe you are rushing into this. Which, in and of itself, is not a bad or negative response. I mean it's not what I expected. Only because I hadn't asked what this person thought about me self-publishing, but that's okay. I welcome input. But… suddenly (thanks to daddy issues circulating my emotional stratosphere) I was zoomed back to a terrible experience I had with an author on a message board who told me I should “stop all this self-publishing and work on being a better writer so you can get a real book deal and be legitimate.” I won’t out her here, but she is a very famous author. She spent several postings ripping me– publicly– a new one. I gently invited her to read my work before she called it “not legitimate” and she never responded. Other people on the list who had read my work told her that I was, in fact, a very good, if not better writer than a lot of regularly published authors. Well, I left the message board and left them all to debate me and my legitimacy. This week, staring at these words and those reasons why I shouldn’t self-publish, I felt just like I did four years ago. I felt not legitimate. I felt wrong. I felt stupid. Just when I got my groove back, my self-published author mojo, someone who I thought supported and understood why I would go back and self-publish again, just– BAM– knocked me out of orbit. But can I blame the person who wrote this email? Just like with Dad. Can I blame anyone for my mind going a-flutter? For my own lack of self-trust? No. I can’t. I can’t blame anyone when I have a sudden second-guessing moment. Well, I can blame someone. This is all about me, as per usual. When I hear something about myself–an opinion of someone about me and what I am doing–I typically jump to “oh, they must be right”. Up until I was 30, I believed those people (okay, my father) who told me I was wrong. Wrong about my career path. Wrong about my decision to work from home and be with my children. Wrong about self-publishing. As a child, I often felt like I was such a mess that I couldn’t be trusted to make a good decision. After all, I am too “impulsive”, too “talkative”, too “emotional” and too “expressive”. But I am 33.75 now and truly don’t believe any of the above, but I’m still insecure and some times it still can take very little to shake my foundation. Considering my vulnerable state last week thanks to “daddy issues”, my foundation was a little shaken by those words. So, shake it, these words did. However, those words didn’t break it. The thing is, I want to self-publish and don’t see what difference it makes to my work at school or to anyone. Really, isn’t self-publishing about me? But another thing for me to consider, to understand, to chill out about is, people are going to tell you what they think, and most of the time, as in this particular time, it is out of caring for you, not putting you down or telling you what to do. The only reason why I, we, anyone gets nuts when stuff like this happens, is because we are not fully grounded in our selves and part of us, a large part needs/wants the validation of others. But, truthfully, others don't matter as much as yourself and what you feel and know to be right for you. And now that I have gotten my baggage out of the way, I can really hear what this person who sent me that email has to say because what they have to say does matter. But, I'm still gonna self-publish. It makes me crazy when you have these battles with in yourself...but I totally get you. Now get up and go look in a mirror...that is a writer! A damn good one. She has taught me everyhting. Get grounded. Spring is coming and it's time to bloom!!!! I suspect the recent caution from one who cares is the result of him/her never having to experience the years long and still ongoing trials that you've endured at the hands of mainstream publishing. I think s/he worries that self-publishing this third Maddie book might hurt you in some way. If publishing houses think less of you for your independence then the damage is already done and another self-published book shouldn't matter. I often wonder if there is not some form of sour grapes at work here - if the editors might not want to kick themselves for missing out on these award winning and highly lauded books, but rather than admit their error they simply go on record as considering them lacking in some way. More unnerving is that author who, without reading your books, advised you four years ago to become a better writer so you could be legitimate. Yikes! Hannah, you know where I stand. Self publishing or independent publishing has worked for me and it is working for you. Look at the name you are making for yourself. You are building your reputation and selling books. You have sold more books than the average author. If I do as well as you I will be pleased. Joanne said everything I wanted to say but more elegantly than I could. Maybe your friend was just sensing your own lack of confidence. But it doesn't matter. 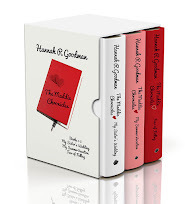 Hannah R Goodman's Releasing the Writer Within is a success. I am looking forward to collaborating with you on book marketing.